Recently I’m upgrading JIRA from 3.x to 4.x version for my company. During this upgrade procedure, I learnt a lot from Atlassian. When I was using Jira 3.x, I just using Jira as a simple (but) powerful issue tracking system. I was always content with it. I never felt that I have to upgrade to a newer version. It was good enough to ignore ordering a newer version. I used (a cracked version of) Jira about 3 to 4 years; because my company wasn’t able to afford it. Jira used a simple UI in 3.x version, honestly I should say that I never impressed by it. By the way, I changed my career and in the new company they are using a licensed Jira 4.x version. 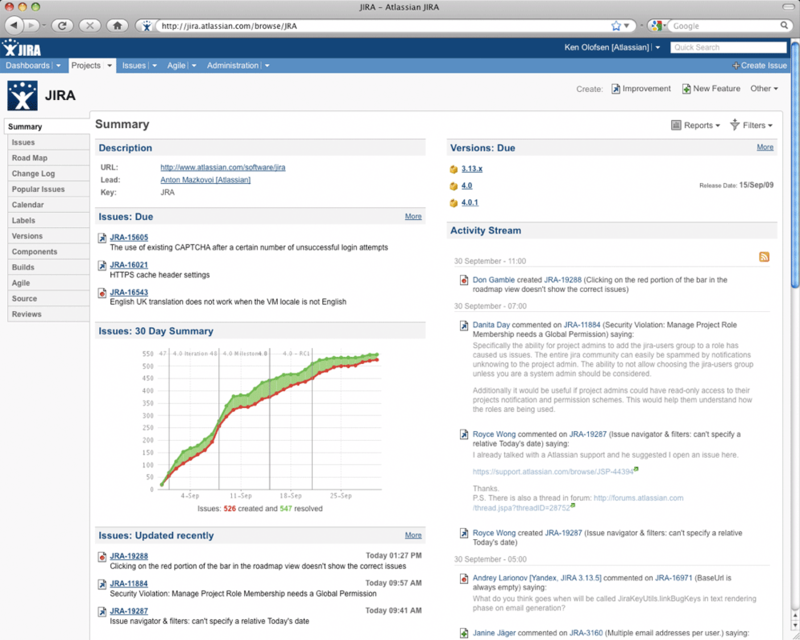 After two weeks of using new Jira, I wondered that, how much changes happened on Jira. I couln’t believe that they redesigned UI completely, in a way that amazed me. Almost everything relocated and new menu works great. New Plug-ins, especially Green Hopper, forced me to confess that all in all, Jira is the best web application I’ve ever used. One of the things that is really special to me, is that new version has a really affordable price. 10$ for 10 users! Most of the small companies don’t have more than 10 active users (developers) so that they can easily afford it. I have to mention that Atlassian give all of these (10$) prices to RoomToRead charity organization and they are going to raise it to 1,000,000$. Here I want to appreciate Atlassian team because of their good software and their effort for education. I also obliged to ask for an excuse from Atlassian, because of my unfair usages at past. I write this to say that this is the first time that I really have a shame of using a cracked version of a software. I wish they forgive me for this.